There are good radio signals, and there are bad radio signals, often called interference. How do you know? There are many ways to find radio interference such as Intermodulation, multipathing, PIM and radio noise, to name a few. This webinar will look at the science, and sometimes more importantly, the art of radio interference hunting through years of in-the-field experience identifying and mitigating interferers. Better understand what a problem is and what can be expected when viewing radio spectrum. Tom Dover has spent an entire career managing, maintaining and teaching telecommunication networks. His experience includes telecommunication technology fundamentals, specialty equipment and safety programs for utility companies, government agencies and private organizations. Tom is a graduate of the University of Utah, and holds an FCC General Class license. He has delivered training at over 300 sites nationwide, authored over 20 technical and non-technical live and on-line courses for all faces of the telecommunication and wireless industries. Tom is an authorized OSHA Outreach Instructor for the Construction industries. He has worked with training partners and equipment vendors to provide certification training for subjects such as Antenna Line Sweep, Passive Intermodulation, and Fiber to the Antenna including Distributed Antenna Systems. Over 2000 students have been PIM certified via DTS and our training partners. 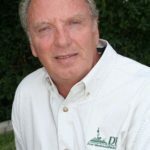 Tom is the President of DTS, Inc a Utah based training company, focusing on teaching telecommunication professionals and integrators who install, test and maintain wireless networks in a safe and efficient manner.